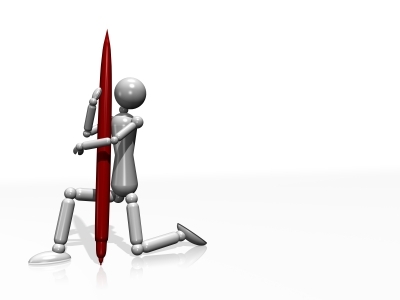 Writing and Marketing: Freelance Writing: Thinking of Getting Into It? Freelance writing takes on a number of descriptions: writing for magazines, ghostwriting, copywriting, and any other form of writing-for-hire. And, while it may be a little intimidating, if you work at it you can learn the secrets to becoming successful. My most powerful freelancing secret is knowledge. No. I'm not the most knowledgeable writer in the world. I'm not even the best. However, I'm a voracious reader. I read everything I can get my hands on. My library houses books by Bly, Hatch, Lewis, Throckmorton, Ogilvy, Kennedy, Stein, Levinson, and Nash - just to name a few. I work on projects and market my writing services during the day, then I curl up with a good book every evening. We rarely turn on the television at night, instead opt to keep the radio tuned to our favorite station. Every evening, I study effective direct mail packages. I read about writing techniques and innovative ways market products and services. As I read each book, I stick a post-it note on the page that has a technique I want to try. The next day I crack open that same book and actually DO what it suggested. I repeat what works for me and chuck the ideas that didn't do what I thought it would do. try to get my hands on their competition's marketing materials. I draw ideas from everything I've read to make my and my client's marketing materials as powerful as possible. writing efforts more effective than my competition. But I don't just read and reread them, I study them and apply what I've learned in everything I write. 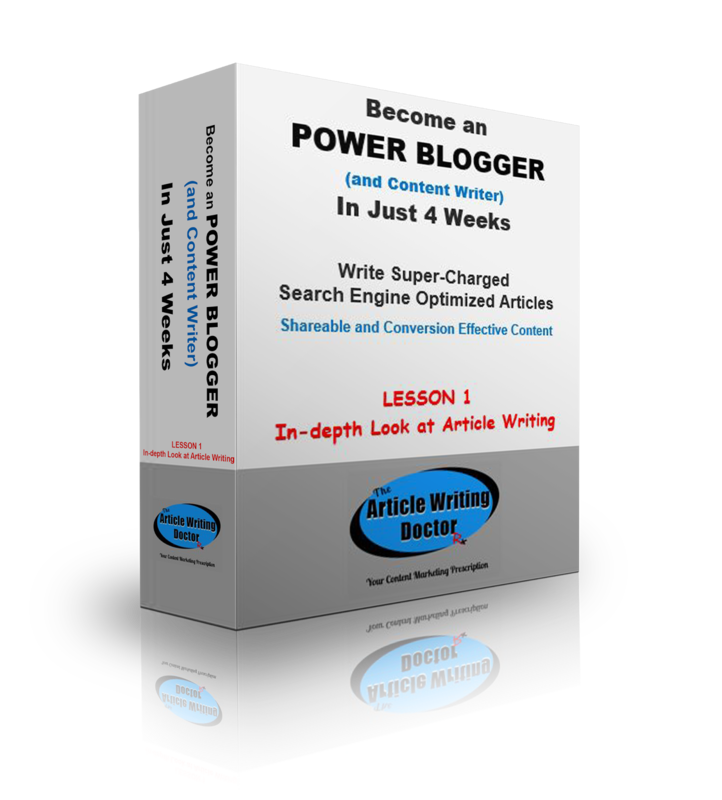 Become a Power-Blogger and Content Writer in Just 4 Weeks will teach you to write super-charged articles and content that will be reader and SEO friendly, shareable, engaging, and will increase conversion. Use it to boost your own traffice, authority, and sales. 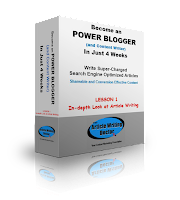 Or, make it a money-making part of your freelance writer’s portfolio. It even shows you how to find prospects and work. It's interactive, in-depth, and priced right. Check it out today. CLICK HERE FOR DETAILS.